The Government is moving to shut down the corporation tax loophole known as the "Single Malt". This is a tax avoidance mechanism used by multinational companies to reduce their corporate tax bill by using companies and tax laws in Ireland and Malta. The "Double Irish" was once the best known legal tax avoidance structure available to US multinationals using Ireland. The Government moved to phase it out in 2014, but within weeks a new structure "the Single Malt" was being talked of by tax advisors. This is similar to the Double Irish, but instead of using a Caribbean island, the Mediterranean island of Malta and its double tax treaty with Ireland was used to cut the tax bills of big multinationals. Today the Revenue Commissioners announced they have agreed with the Maltese authorities a way of ending the Single Malt structure. Revenue is taking advantage of a new OECD multilateral instrument which both countries have signed up to, to bring in changes to all their tax treaties in one go. It is part of the so-called "BEPS (Base erosion and profit shifting) programme of reforming international tax rules to reduce aggressive tax avoidance by companies. 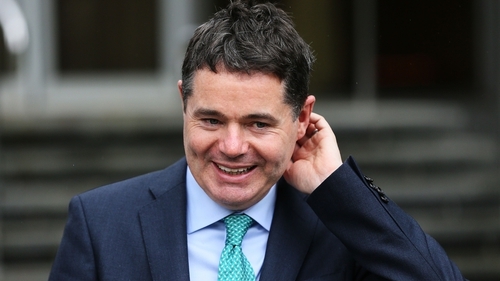 Minister for Finance Paschal Donohoe said today's agreement is another sign of the country's commitment to tackling aggressive tax planning, as set out in the Corporation Tax Roadmap. Mr Donohoe said that Ireland is committed to tax reform implemented at the international level, to address mismatches between jurisdictions and to continue the implementation of new robust global standards that are sustainable in the long run. He also said that changes to the "Single Malt" will ensure larger companies pay a fairer share of tax. Speaking on RTÉ's News at One, the Minister said he believes the loophole will be closed by September or October 2019. He also said the Finance Department and the Revenue Commissioners are looking at other tax loopholes, adding that while it is a gradual process they are looking to accelerate it.